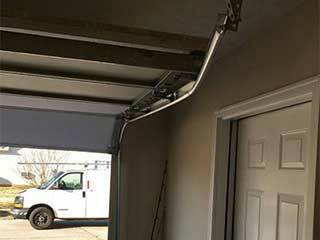 Putting off periodic maintenance work on your garage door may not seem like a big deal now, but it will be in the future when all sorts of issues start to show up. Continuing to use your door when it’s parts aren’t in the best shape creates stress on the entire system that causes everything to wear out even faster than just the regular use. This means they’ll break more quickly and leave you with a door that struggles to work, if it does at all. Regular maintenance services help to prevent these problems by catching them before they start! That’s why it’s so important to get it done. Your garage door requires a certain amount of tension to work correctly, and too much or too little can drastically affect the system. If there’s excess tension, your door won’t be able to close properly which leaves anything stored in your garage at risk, as well as your home in general. A lack of tension will cause everything to become unbalanced, and this stresses the springs out and makes them wear down and break much more quickly. Our experts can easily get your door back to the proper amount of tension in no time! A thorough system examination by one of our trained technicians is the best way to protect against future issues in the making! We’ll carefully go over everything for rust, too much wear, and other signs of trouble so we can get it fixed now and your door working easily again in no time. It may be something bigger like your door popping out of its track, or simply your opener needing its bolts tightened, but either way it’ll be done quickly and keep your door working smoothly. You want to be able to count on your garage door to work when you need it, so make sure it will with regular maintenance from Garage Door Repair Powder Springs!